Are you fascinated by the way that animals behave? Do you wonder why animals live the way that they do? Then the Bachelor of Zoology is the course for you! Zoology is a branch of science that seeks to study and understand how animals of all kinds live, whether they are big or tiny, or if they are found on land, in freshwater or in the sea. Graduates with a Zoology background are widely employed across a range of industries and institutions, including CSIRO, local state and federal government agencies, universities, museums, national parks, marine parks, zoological gardens, and even remote research stations. However, the employment prospects of Zoology graduates are not just limited to scientific and research fields. Some graduates also become teachers in primary and secondary school, and others are also employed in communications roles for media organisations on radio, television, or social media and print. There are also others who become consultants for various industries which involve animals and wildlife in some ways including (but not limited to) aquaculture and biotechnology and animal breeding businesses. What is the Bachelor of Zoology degree? The 3 year (when studied full time) Bachelor of Zoology degree allows for a wide range of choices. Apart from the zoology-oriented core units, students can also chose to do a range of listed and elective units relating to botany, environmental science, geology, and animal production to customise their learning experience for their own goals. The field of Zoology covers many aspects of animals including their natural history, ecology, evolution, behaviour, structure and function, distribution, and classification. It also crosses over into other aspects of animals such as their physiology, biochemistry, genetics, and molecular biology. UNE is surrounded by a range of landscapes and ecosystems, providing easy access to a range of environments and opportunities for hands-on practical experiences. 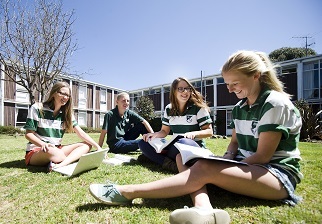 Students can also participate in field trips to various different locations from local trips to Coffs Harbour, through to international study tours to Botswana and Bhutan. Students also have access to a range of on-campus resources.